I have to say the service I received was timely and the staff were friendly and attentive. Nintendo SNES, N64 & GameCube Composite Video + S-Video AV Cable (Retro Gaming Cable) + FREE SHIPPING! Retro gaming cables are here at Cable Chick! Need a relacement AV cable for your retro Nintendo Console? Well you've come to the right place! This is a replacement AV cable for original Super Nintendo Entertainment System (SNES), Nintendo 64 (N64) and Nintendo GameCube (NGC) game Consoles (for Composite Video / S-Video + audio output). Unlike so many other manufacturer's Nintendo were clever enough to use the same Multi-AV port for most of their 'analogue' era home game consoles. That means if you need a replacement stock AV cable, or to upgrade to a superior S-Video output for your SNES, N64 or GameCube , then this is the cable for you! Retrogaming cables are new cables, for our beloved classic game consoles. They have been specifically designed for the 8-bit and 16-bit video game systems (and let's not forget 32/64-bit systems). These cables have been developed to either serve as quality replacements for the original AV cables which shipped with the game consoles, or offer superior AV output quality so you can enjoy these old consoles like never before! RF Output (only on the SNES): The RF output is the connection where you need to tune your TV to receive a signal from the game console. This is the oldest AV output standard, and as it sends all video and audio information through a single coaxial lead, the quality is also the poorest. This option is only available on the SNES console. THIS CABLE > Composite Video: The next step up and noticeably better for video and audio, however the results are still not great due to the signal being carried through a single pin, however Nintendo consoles did manage to output a cleaner Composite video signal than Sega's consoles! 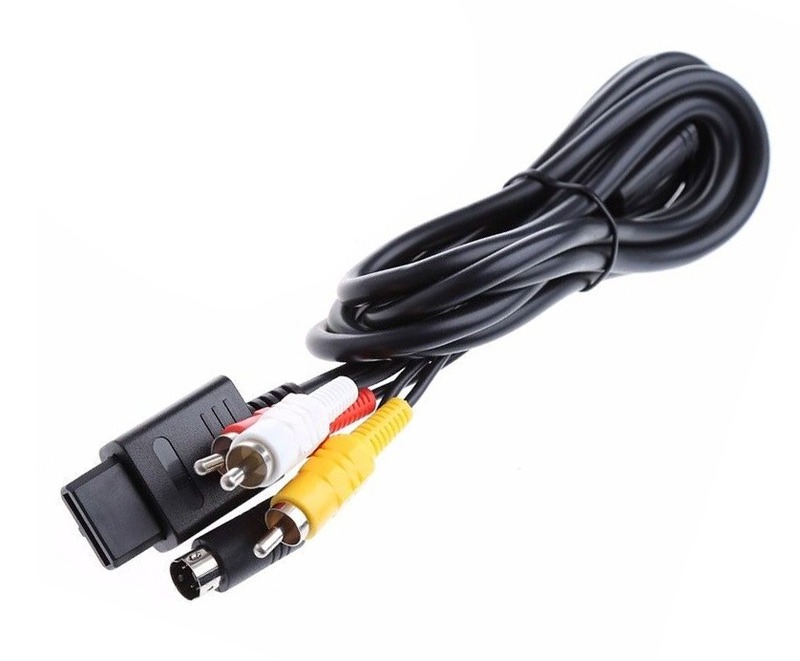 THIS CABLE > S-Video: S-Video is supported via the multi-AV output on Nintendo's SNES, N64 and NGC consoles, and is a worthy step-up from Composite Video quality is you have a TV with an S-Video input, thanks to the signal being carried across multiple pins instead of just one. If your TV doesn't support RGB SCART input, this will be your best option. Many CRT TVs supported S-Video input, while RGB SCART was rare to find. RGB SCART: The SCART connector was an amazing analogue standard used in Europe, and it made it's way over to Australia on some higher end CRT televisions. With full separation of the vidoe and audio signals, you will get the very best picture possible from an RGB SCART connection. Although you could convert Composite Video to HDMI for use on a modern screen, a converter will not be able to improve on the poor image quality of the Composite Video standard. So if you have a RGB SCART compatible TV, our Nintendo RGB SCART Cables can be used with our SCART to HDMI Converter for 720p or 1080p upscaled digital audio and video output, and excellent output quality. The SNES, N64 and GameCube all shared a compatible Multi-AV output port. Nintnedo's Multi-AV port can output Composite Video, S-Video or RGB SCART video, plus audio. RGB SCART or Compoent Video outputs offer the best possible video output for your Nintendo consoles, if you have a SCART TV or TV with Component Video input. This is a replacement AV cable for original Super Nintendo Entertainment System (SNES), Nintendo 64 (N64) and Nintendo GameCube (NGC) game Consoles (for Composite Video / S-Video + audio output). Unlike so many other manufacturer's Nintendo were clever enough to use the same Multi-AV port for most of their 'analogue' era home game consoles. That means if you need a replacement stock AV cable, or to upgrade to a superior S-Video output for your SNES, N64 or GameCube , then this is the cable for you! Your web site is user friendly and our order arrived very quickly - at least a day before I expected it! Many thanks and keep up the good work.